I have built a continent called Irukandji on several virtual worlds over the past decade, but always at it's centre is the capital, Tamita Island. 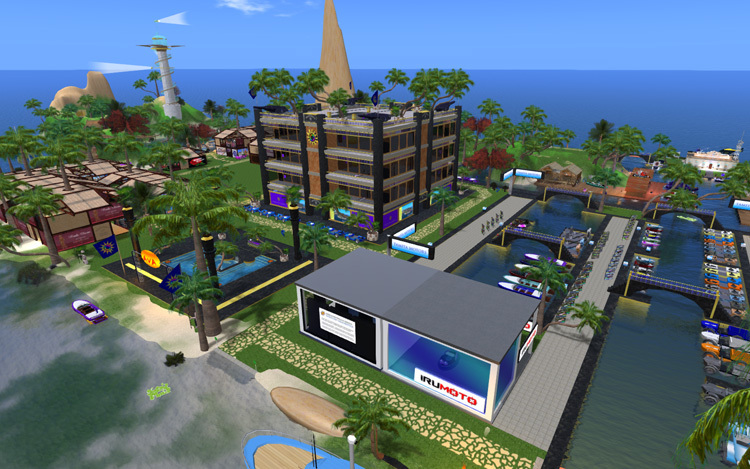 This version of Tamita Island is perhaps its most developed reincarnation on the InWorldz virtual world is certainly one of the most memorable. Except for the small parcel in the far top right corner, which is the Irukandji Police Station, I made all of the objects on the island. The sky and sea Windlight settings used for the photo are my custom preset, Irukandji Midday.